Lo-Melkhiin is the ruler who selects a girl from each town and village. He takes them as his wife, only to kill them before the sun rises the next day. When she sees the king coming to her home, our heroine ensures that she is chosen instead of her beautiful sister. The bond between siblings is strong and her sister begins to pray to make her a smallgod - a spirit that can intercede on behalf of the living. And the new queen lives. She spins stories that keep her alive and her tales start to become reality. Can the power of a woman defeat an ancient evil? 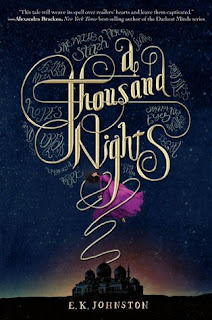 This story is loosely based on One Thousand and One Nights, but it subverts expectations by focusing on the love between sisters instead of the romantic relationship between a man and a woman. The women in our tale are never named, but they are powerful all the same. The stories that our heroine tells to save her life are not fantastical. Instead, they are the tales of her own life, of the day to day moments of living in the desert and the bonds between family members. It sometimes seems like YA is an endless parade of re-tellings, but I'm happy to report that this one is worth adding to your toppling to-be-read pile. The ladies of history sat quietly and worked on their needlepoint, right? Not so much, according to Sam Maggs. 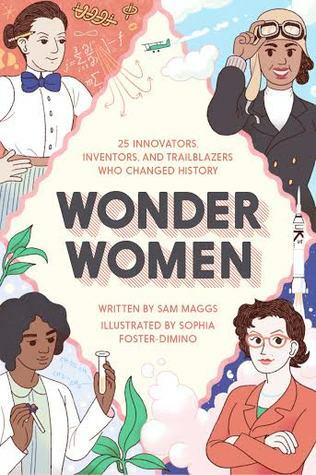 In her collection Wonder Women, Maggs brings scientists, doctors, and inventors to vivid life. Each chapter teaches about an amazing woman in a way that sounds like chatting with a witty friend. These women lived all over the world in every century and Maggs shows the impact of these trailblazers as she places their biographies alongside interviews with women working as computer scientists, biologists, and CIA agents today. This collection will boggle your mind as you realize the sheer number of amazing women that you hadn't heard of before and make you laugh at Maggs' humor and appreciation of the things that have changed for women. We don't just get to read about these women's lives and adventures, we also get to see them through the illustrations of Sophia Foster-Dimino. This book occasionally feels like it was written for a YA audience, which may bother some people, but I would be hard-pressed to think of a book I would rather give to young women. I really enjoyed Wonder Women too and like you, I didn't mind that it was intended by a younger audience and I'm happy that this book exists for young women to read. 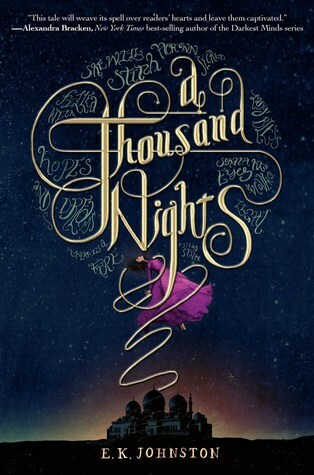 I've not read A Thousand Nights, but it sounds good too! I like discovering books that focus on non-romantic relationships, since they seem rare. Me too! I'm definitely intrigued by any book that talks about relationships between sisters. It's Monday and I read books! It's Monday and someone is nine years old!